At Tiny FloatHouse we never stop working to perfect our straightforward designs with stability, comfort and aesthetics in mind. When you purchase a Tiny FloatHouse, you are purchasing a quality piece of American craftsmanship that will be your ideal Aquatic Retreat! 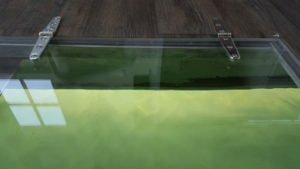 Each New Tiny FloatHouse is supplied with a brand new built to order aluminum hull with over sized pontoons, and a brand new treated ¾” plywood deck under the enclosed spaces (rated at 40-year lifespan) and covered with slip resistant vinyl flooring for further protection from water and sun. The exterior deck is made with 20 year composite decking The tiny house is constructed on the sturdy platform using treated lumber where the structure comes in contact with the deck. Conventional lumber and wood siding is used elsewhere on the structure. The enclosed cabin space is approximately 7’ x 12’ to 9′ x 22′ (depending on the model) and painted in a quality outdoor latex paint. Exposed studs and siding on the inside of the cabin give a desirable cottage look. The exterior is painted with a quality exterior latex paint. (We offer several recommended colors from which you may choose.) The windows and doors are reclaimed from 1900’s period Michigan homes (availability may require substitution of new materials.) The roof is copper colored steel rated at a 40 -year lifespan. A 120-volt, 15-amp to 30-amp (depending on the model) electrical system with multiple outlets is supplied on every tiny FloatHouse; one of the outlets features two USB charging ports for phones and tablets. Ground fault interruption (GFI) protection to all outlets, switches and lights is standard. A nautical front porch and interior ceiling lights fitted with vintage style LED bulbs are part of the standard package. 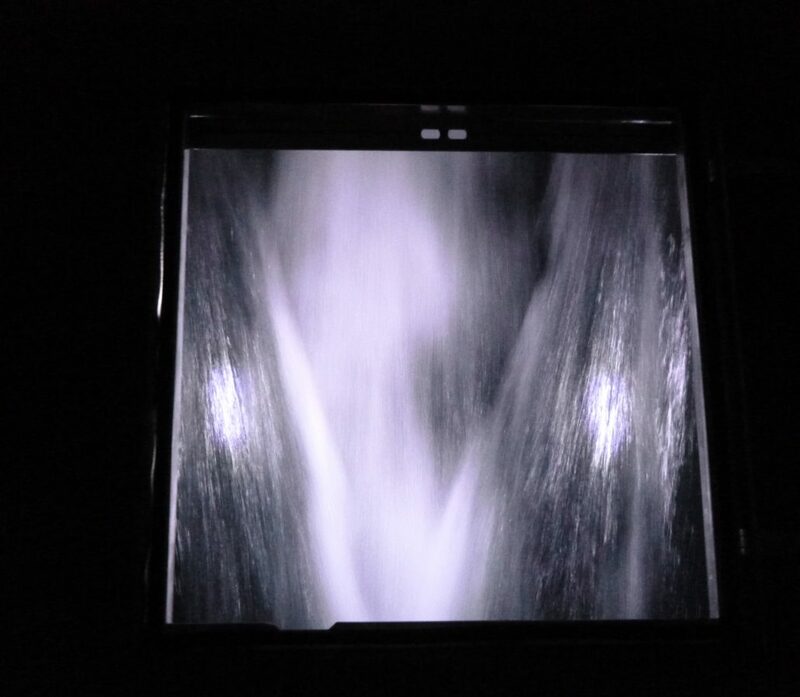 Located in the center of the interior floor of the cabin, The Moonpool is approximately 24” x 24”. The Moonpool provides easy access to the water from inside the FloatHouse for fishing, swimming, private skinny dipping, or endless hours of enjoyment watching marine life. 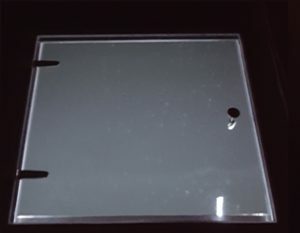 The Moonpool is made of bulletproof acrylic that can be walked on and support up to 350 lbs. An under-deck LED lighting system illuminates the surface of the water providing captivating views and shimmering indirect lighting to the FloatHouse. Stainless steel hinges and hardware ensure decades of enjoyment. There are two types of lightbulbs that we offer. 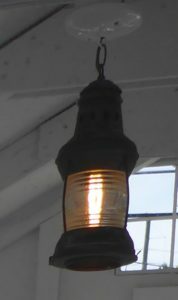 The Porch Light: A vintage refurbished nautical light fixture, fitted with a vintage style LED bulb. 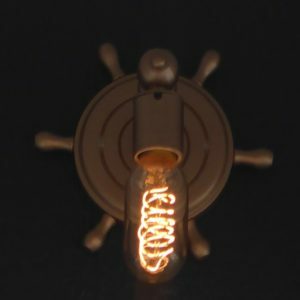 The Ceiling Light: A nautical style lantern fixture, fitted with a vintage style LED bulb.